We take time every year this week to recognize the birthday of Jim Koch, founder of Boston Beers. Jim turns 66 tomorrow. In last year’s blog about Jim, May 27, 2014, we highlighted not only the outstanding numbers Boston Beers was putting up, but also looked at some of the new products that were about to, or just had been rolled out by Boston. In addition to the great success of Angry Orchard, by far the dominate cider in the market place, and the rapid growth of the Twisted Tea brands, Rebel IPA was a major success. 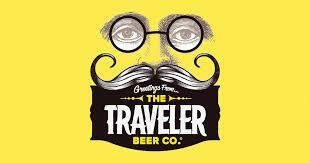 Now in 2015, Boston Beers’ focus is to establish the new Traveler brands. While it is too early to determine the level of success, Traveler products might be more of a summer seasonal based on their liquid. Unlike ABI, Boston’s new products are not line extensions. Boston allows these new products to stand on their own reputation. The consumer sees the lines as something new, different and unusual. To date, this marketing has worked. In fact, it is transforming the company. IRI Total US food thru April 19, show that Sam Boston Lager is down -3.3% in volume and Sam variety is down -13.2%. As a company, however, Boston was up +13.6% during this time period. These numbers further indicate the ongoing change in Boston’s portfolio mix. Angry Orchard and Twisted Tee have become a large segment of Boston’s volume. Core flavors are losing ground, but with Rebel IPA, the future looks solid for Boston in crafts’ hottest segment. As mentioned, the jury is still out on The Travelers products. Time will tell. In a recent media interview, Jim stated that while Boston only has a one percent share of the US beer market, crafts will continue to grow. He goes on the say that consumers have discovered flavored beers and are looking for more of them. We see this in the numbers and he is right. Jim always seems to understand what it takes for a liquid to be successful. He was one of the fore runners of crafts with Boston Lager at a time when no one had an understanding of crafts. Over the years he created craft flavors and most have been successful. As with crafts, Jim took new liquids and made them successful when no one else did. He began with teas, and followed years later with ciders, which had been successful in England and other parts of Europe. AO now dominates this fast growing segment. This year Boston has come with shanties. Although not new to the US market, look for Boston to jump start this category and become a major brand. It is what Jim does best. You can bet Jim has other ideas and brands to draw on in the future, so I am looking forward to seeing just what he will introduce next year. One thing for sure, it will be different. Until next year, Happy 66th Jim! In December of 2005, over breakfast in New York, the than CEO of Warsteiner made it perfectly clear that he expected the US operations to start making money. After 25 years in the US, Warsteiner had never made a profit, even when the exchange rate was favorable. The upside of the favorable exchange rate did, however, allow the operation to invest, grow, and become established across the country. Given this mandate, during the first full year at the helm, the operation turned a solid profit. From that point, and over the next several years, I was able to reduce the long term debt of Warsteiner’s US operation. This was not done without the cost of some sales. Changing the strategic direction of field sales and marketing did put the operation in solid shape, and it stayed that way until Warsteiner’s CEO/owner retired, turning over the helm to his daughter. This month, Molson Coors announced that they had appointed their CFO acting CEO. Molson Coors had used not one, but two top headhunting firms to find the ideal candidate. Ultimately, they decided to go the internal route. Really? They could not find anyone? MC’s recently released first quarter numbers continue the trend the company has had for a number of years. Net income was up +4.4%, yet net sales were down again -.9%. Revenues were up +1.6% against STRs down -2.7% and shipments -2.5%. The announcement of an internal CEO, with a CFO background, will change little. Going forward, expect the financial numbers and trends to remain the same. This is what the board must want! On the other hand, Lagunitas, using the same headhunting firm, during the same time period that MC had retained the firm, found a new CEO. Lagunitas is one of, if not the, fastest growing crafts in the US. This year shipments are up 50% and depletions up +41%. The new CEO, Maria Stipp, is not from the beer industry although she began her career in chain sales at Miller Brewing years ago. She comes back into beer from a company that recycles consumer’s old phones, MP3s, tablets, and more. She also helped build the video game Mortal Combat at Activision into a billion dollar business. Perhaps the appointment of these two CEOs, more than any other measurement, indicates the differences between the craft segment and the established domestic segment. MC’s board appears to be more than comfortable with the direction of the company and expect MC to continue to lose market share and volume while increasing revenues and profit. Lagunitas, on the other hand, looks to continue its dramatic growth by bringing in new leadership skills honed in industries that were successful in developing products for those consumers who support crafts. The comparison will be interesting to follow. Someday over time, MC’s sales declines will eventually bottom out and Lagunitas’ sales will hit a wall. How these beer companies and others handle the change will be a defining moment of their history. Real leaders challenge the status quo which will cause controversy. Lagunitas knows this and it shows with their new CEO appointment. MC does not. This is sand, not rock. At the recent Craft Brewers Conference in Portland much of the discussions were centered on the growing interest in Private Equity firms that are interested in investing in craft breweries. A number of industry pundits and consultants commented that with ABI kicking tires and all the PE interest, prices may be peaking for these craft breweries. In the last several years a number of distributorships have changed hands. While not officially published, it is widely believed that these distributorships have sold for multiples of between 7x-10x. Consider that 30 years ago, a wholesaler with a regional brand and some imports would go for 1x, and one with a national brand could produce 2x, this is dramatic growth. Right after WWII, the US beer market was at 86,600,000 BBLS. This volume was produced by 476 operating breweries in the country. What is interesting is that starting in 1945, and for the next several decades; beer experienced a rapid and dramatic growth in volume, driven by the largest generation in history, the baby boomers. The US beer volume peaked in 1990 at around 203,658,000 BBLS and since than the overall production has remained flat or is declining, depending on the year. In 2014, US beer volume came in at 197,124,000 BBLS. Still quite a dramatic growth in volume since 1945. With all this dramatic growth during the 40s, 50s, 60s, 70s, and 80s, the number of breweries producing this growth in sales has dropped from a high of 476 breweries in 1945, to a low of only 44 breweries in 1979. It is safe to say that those remaining breweries must have been happy, as they most likely were producing at full capacity during these decades of growth. When the industry peaked in 1990, the number of producing breweries also started to increase in number. Last year there were just under 3,700 breweries operating in the US, as noted in the chart above. These breweries were producing the 197,124,000 BBLS. as reported from 2014. What this looks like is that in 1979, the average production per brewery was about 4, 186,000 Bbls, however, in 2014 those 3,678 breweries averaged about 52,315 BBLS each. It has also been widely reported that there are up to 2,000 more breweries anticipating opening. Many of the current operating craft brewers are in expansion mode and adding capacity. While this is not new news to the industry, one can do the math and note that the annual volume per operating brewery will drop much further. In essence, this is just what the consultants are predicting. The pundits are all saying the same thing, that consolidation and closures are inevitable given the number of craft breweries. Add in a flat or declining beer volume and something will have to give. Consider that for decades we had a rapidly growing beer volume supported by a rapidly declining number of breweries. Now for 20 years we have a rapidly growing number of small craft breweries, after a declining beer market, although the craft segment is expanding at double digit rates. For the short term the question is just how high will the value of these craft brewers go? For the long term, good questions are better than easy answers! The market where I was fortunate to own a beer distributorship was located in far south Texas along the Mexican border. The demographics of the marketing area, was as you might expect, was over 95% Hispanic. Even with such high Hispanic demographics, Cinco de Mayo was not consider a major holiday. There were no special events, parades, or even promotions during the early 1980s. In fact, the two biggest events for beer sales were spring break, in March, and the week of Easter. Easter was considered a big event in South Texas because many Mexicans came to South Padre for a week-long to celebrate. During both occasions, the island was full and our distributorship sold large amounts of beer. During this time, Dies y Seis was actually a bigger affair than Cinco. One year we even promoted Schlitz 16 ounce cans to celebrate the 16th of September. We ran the promotion because both Modelo and Femsa products, while growing, did not have a large share of market. It was not until spring break 1986 did we realize that Corona was going to be a big hit, when we sold five truckloads of straight Corona bottles. While at Gambrinus in the mid-1990s, our Cinco efforts were initially directed at Mexican restaurants. The early Cinco kits we used for promotions consisted of the usual, banners, table tents, and other misc. paper items that promoted Corona. Femsa did the same. Soon these promotions moved into other venues including sport bars, casual dining, and even white table cloth restaurants. The growth of Cinco was unbelievable. Gambrinus closed its corporate offices and all employees were required to work the retail market. Every year I had several employees from the San Antonio office come to Dallas and ride the market with me, visiting and working all these Cinco promotions, and allowing them to see firsthand what dealing with the retailers and wholesalers entailed. The Cinco promotions expanded even further when national accounts took over the off- premise and started nailing down ads and features. Displays went up in all the chains. The Kroger on Mockingbird Lane in Dallas, then the largest square footage in the US, built a 1,000 case Corona/Corona Light display. Because there were no cell phone cameras, this was a mandatory stop for everyone beer person to see. Over the last twenty years Cinco has grown into a major beer consuming weekend led by the Mexican beers. Cinco has done for Corona and Dos Equis what St. Pats Day has done for Guinness. No matter how it is defined, both Modelo and Femsa are now main stream brands. So the question on this Cinco de Mayo day is: did the holiday make these beers or did the beers make the holiday? Enjoy this Cinco de Mayo!